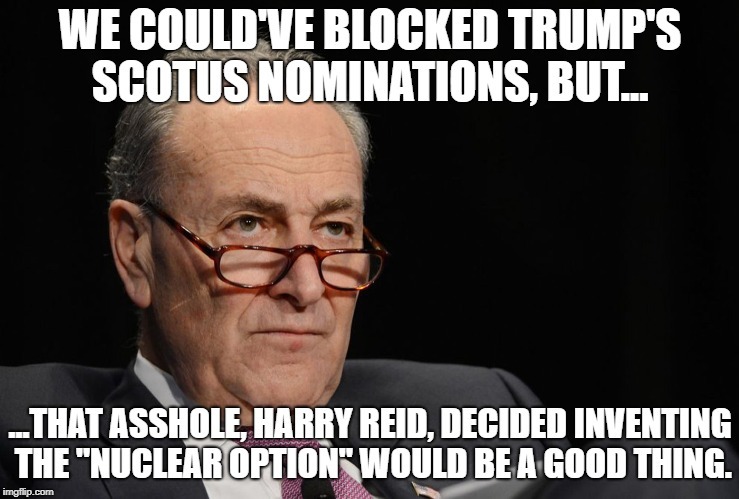 Thanks to Obama & Harry Reid for giving us this nuclear option. They didn't say the same thing when they themself invoked and introduced the nuclear options back in 2013. Hypocrites. It may be funny to you, because you have ancient values and principles, e.g. 10 Commandments...but many progressives don't perceive hypocrisy as ludicrous at all. It is a serious undertaking for many of them. I would be ashamed if i was a progressive. Ashamed? Do you think pro-gay progressives are ashamed of embracing shariah law, because they believe "the enemy of my enemy is my friend."...? When a liar influence the court system, only the blind n dumbe would not notice what is about to take place and how significant it is. Justice according to public law-- not according to cooked-up "social justice." 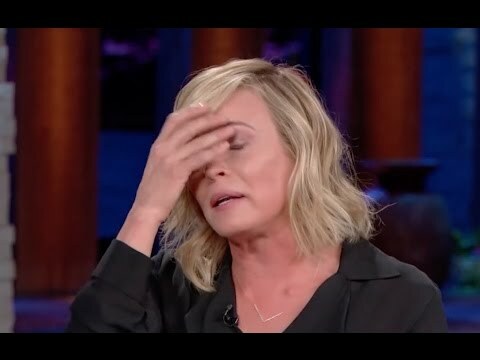 Video of Chelsea Handler cyrin the day after Trump won the 2016 election. lol...No wonder she needed to see a mental professional. majority of American people knew already what to expect when trump won the election with the help of the Russian government, they knew already that Trump will make America a living hell ..True story..
Mueller report:No collusion. @visafree, pothead is right, you do need to see a shrink. you sound like a broken record but Muller did not exonerated trump but Bar did, welcome to the flunky land.